Take one dolphin. 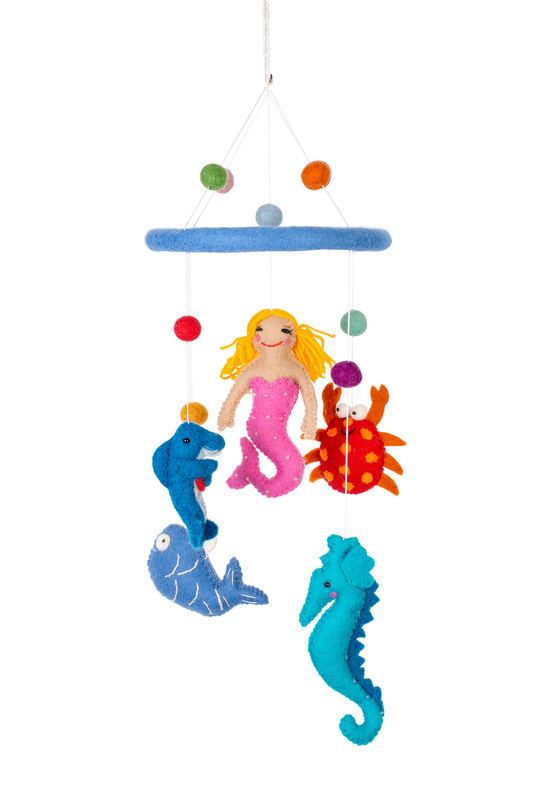 Add a colourful crab, a funky sea horse, a blue fish and a magical mermaid and what have you got? A stunning handmade felted sea life mobile that adds colour and fun to any child's room and brightens up bedtimes. It's hand made by people who work in a Fair Trade environment, made from 100% felted wool, and the process takes skill and dedication. We love the fact that every stitch reveals the love of the person who made it.